What's the big deal, you say. Isn't "Asian Girl" an accurate description of the patron in question. And yes, this is arguably better than "Lady Chinky Eyes" or "Ching Chong Lee" -- actual terms that have used to identify Asian customers. 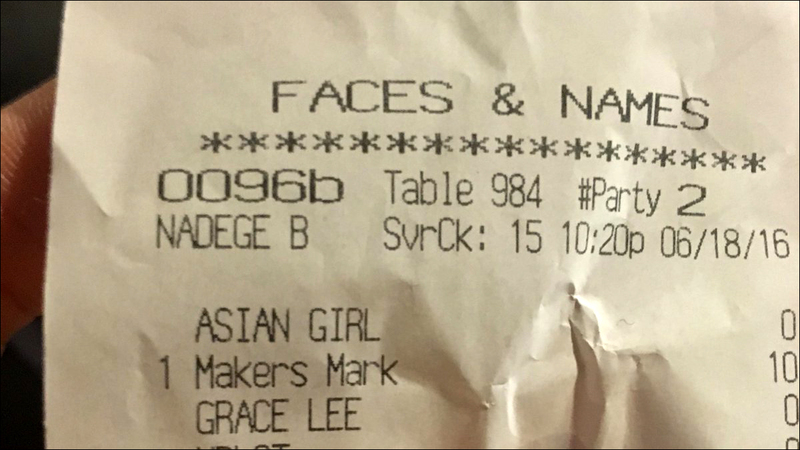 But you have to wonder if every patron at Faces & Names gets identified according to their race. Can we assume that on a given night, we'll also find receipts that say "WHITE GIRL"? Or are us Asians just special?